I’ve been talking a lot about our fascination with “StreamMode”, the current dominant mode of social media. StreamMode is the approach to organizing your thoughts as a history, integrated primarily as a sequence of events. You know that you are in StreamMode if you never return to edit the things you are posting on the web. 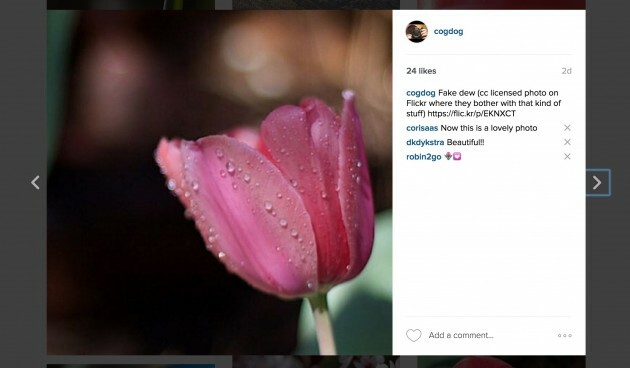 A Flickr vs. Instagram comparision makes this somewhat clear. 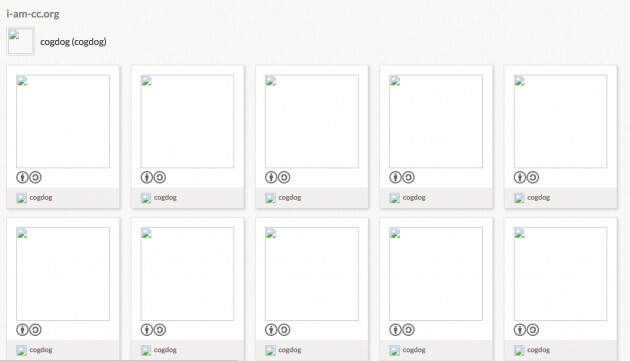 In Flickr, people would catalog their snapshots and tag them, but they’d also occasionally go back and reorganize them. At some point you get enough pictures of diners that you think — hey I should go back and tag up all my diner shots. Instagram is different. You pick tags, you post, you never return. The post you make today will never be refactored for your identity a year from now. It’s all just one big stream of talk. 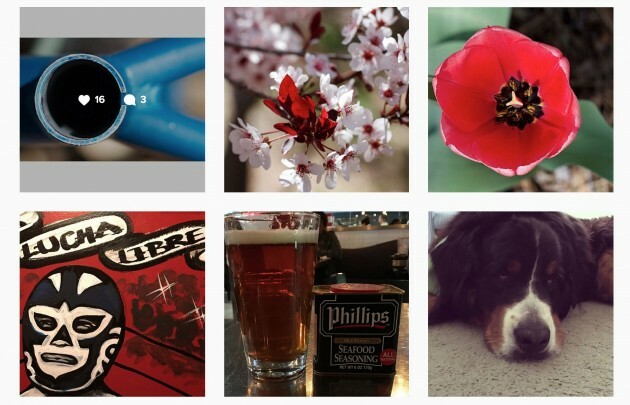 Lest you think I am writing a binary rant– Instagram BAD / Flickr GOOD — hang on. There is something I like about the stream of photos in Instagram (which is also in flickr too) – its a quick way to see what people are up to. I’ve had an Instagram account since… since… well they do not tell you, but I did start early (cough, flickr makes it clear, 2004). What was my first Instagram photo? How do I find out? This says a lot– the only way I could figure out to find my first photo, was to scroll down til the darn thing stopped (it’s not just me who tried) (Even the folks in StackExchange are stumped) (I guess it’s just a thing done for celebrities). Notice that the date of the photo is not the date the photo was taken, it’s only relative to the front of the stream– 171 weeks ago. I have to use some web site to figure out this was December 12, 2012. That photo was taken 274w. Yep 274w. That was December 27, 2010. Is this important? Probably not. But this is a kind of signal that I think is useful to examine when choosing a service like Instagram to “share” / “store” “your” photos (scare quotes are intentional). Might it be useful to know the date a photo was taken? Everything about Instagram is the front end of the stream. The now. 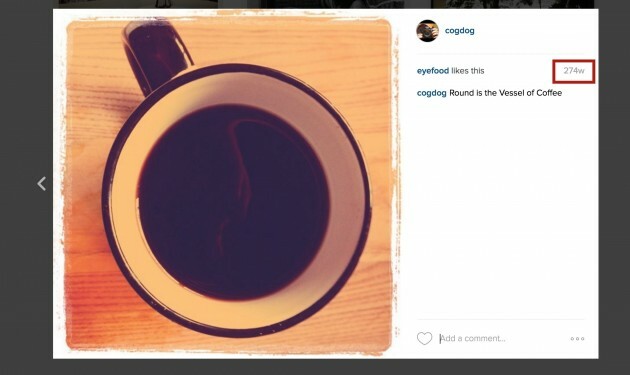 To Instagram’s design, the importance of time drops off geometrically as you move away from the present. 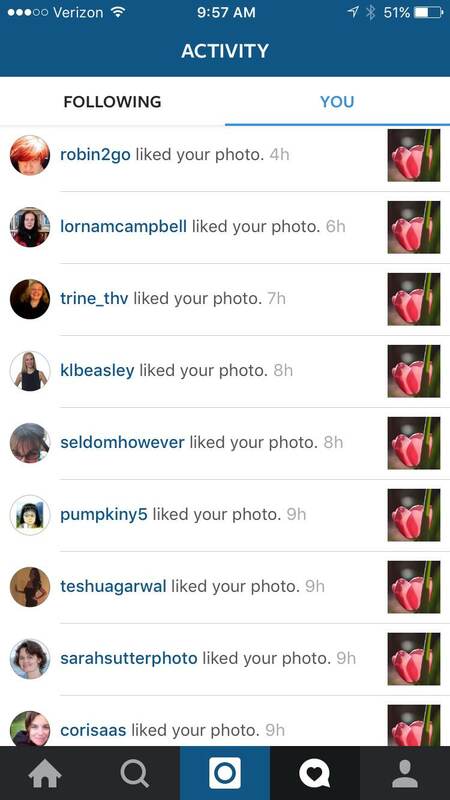 Have you ever tried to find one of your pre-now Instagram photos? I know from my scrolling that maybe 118w ago I took a photo of my Gigapan panorama rig set up at the top of Fossil Creek Canyon. How would I find that photo? If I try the Instagram search box, I cannot find my own photos. Let me repeat, Instagram’s search does not help my find my own photos. 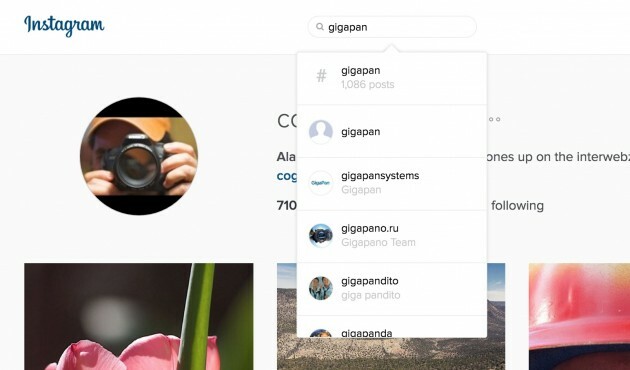 From their own documentation, Instagram’s search only helps you find hashtags, people (account names) and places. In fact, the title/caption of your image is pretty irrelavant- in your stream viewed in the web browser, all you see are the photos. A hover shows the count of likes and number of comments. I went through all kinds of dead ends a few months ago when writing a post about Amy Burvall’s work for my True Stories of Openness. In her video, she mentioned an Instagram photo she did in honor of Andy Warhol’s birthday. The only way I ever could find it was to ask Amy. I have no idea how she found it. Is this just being picky? Hell yes. But if Instagram is the primary destination for your photos, you are locking yourself into a photo archive that is pretty much un-usable as anything except a scroll by experience. I am forgetting where I read this, but the inventors of Instagram totally did the modern design mindset- mobile first– and that they did not even want to have a web version of their interface. Their most recent news story on their “press” page is from October 2015 (I wonder why it does not say 23w). What is Instagram? Their About Us page are the bios of the founder. When you are pure StreamMode, the old fashioned web interface is an afterthought, and maybe something you do under the threat of investors. Yet, their entire enterprise is founded on HTTP and REST protocols, stuff of the web. Oh well. Who cares about how the internet works, when there are new photos to like? Let me remind you again, that my grumpiness is not in totality. I participate in Instagram. I like and add comments. And I post photos– but they are the exhaust of my co-claimed process. I first organize/archive photos on my own devices (aperture / hard drives), followed by public sharing to flickr. I am trying to pick a photo other than the one I picked for my daily flickr photo pick. Because most of these photos are done with my DSLR they are much sharper than my iPhone. 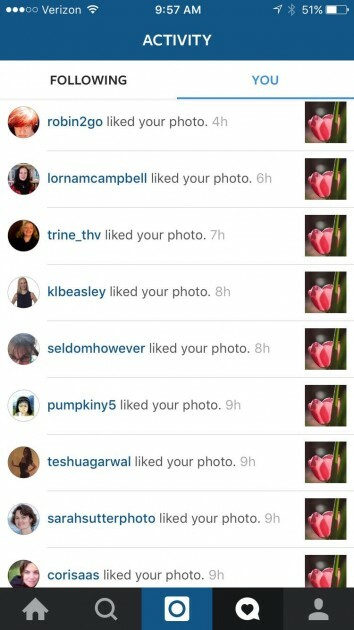 About 98% of the interaction in Instagram are likes. Like. Like. Like. Like. Like. Like. Like. Like. Like. Like. Like. Like. Like. Like. Sometimes a phrase of a comment. I’ve not experienced any amazing stories from sharing my Instagram photos, which, as they know, I have been doing for 374w. I sometimes get 2 per week from flickr. I’m just sayin’ as the saying goes. And here is the last round- when you “share” your photos on Instagram, you give your photos to them. Yes, probably in some fine print are some words about your work being your own. 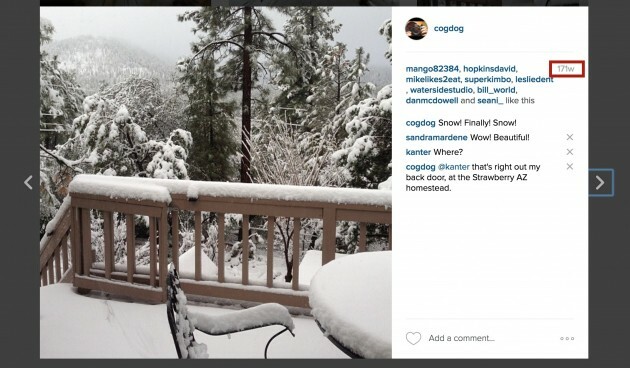 But do you have any say in how your photos are re-shared? Play this game. For video sharing, YouTube has it. So does vimeo. Music? SoundCloud has it. So does Jamendo. Photos? Of course flickr does. Pixabay. A zillion other sites. Instagram? the place where 80,000,000 photos are shared daily? It does not have it. Nope, when you share a photo on Instagram, you cannot put a Creative Commons license on your photos. It’s not an oversight. 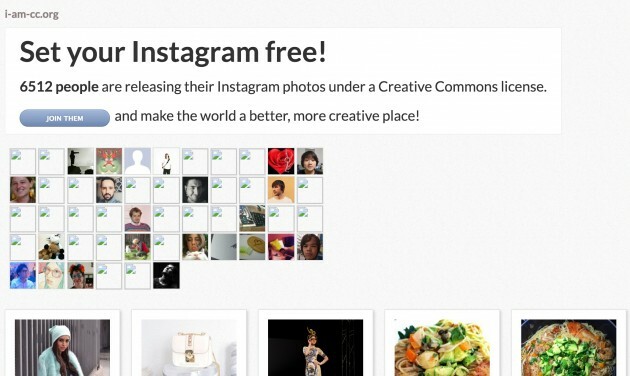 It’s not like the people who make Instagram do not know about Creative Commons. It’s a deliberate design of their system to not give you a right to decide the way you wish your photos to be reused. A few w ago (years) there was a site that tried a clever end around. 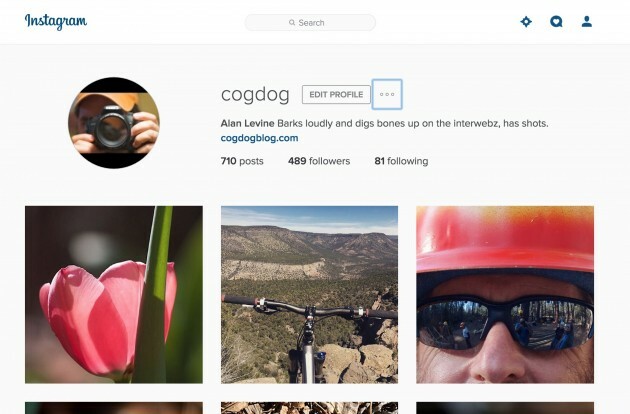 You could choose a license to apply across your Instagram. 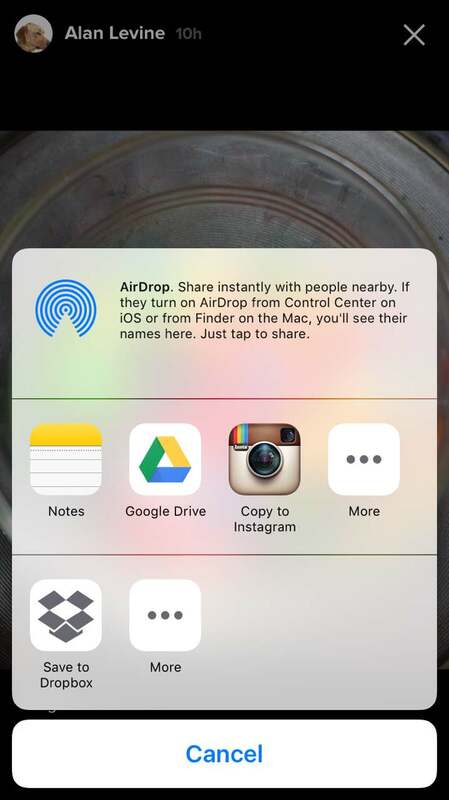 It was not strictly attached to the originals, but on this site you could locate Instagram photos with the preference for sharing defined by the owner. The site still exists but seems unmaintained; the signup button generates a server error. My own page is all busted icons. Probably at a legal technical level this may not be a valid license. I am not making a legal stand, I am making a stand for what I think is right. My own assertion. And I am running out of steam without even getting into the byzantine labyrinth of the Instagram API Sandbox mode. FLickr’s api? It just works. It can return photos even without authentication. What’s the point? My little rant, 90 minutes of my day into it already, will not change anything. There will be another 80M photos shared tomorrow. But looking a bit more closely at what a “free” service does allow and does not allow is part of an important literacy that will come into play sooner or later down stream. Instagram’s purpose seems to have a stream of photos to place in between their advertisements. I am perplexed and feel like the only person who has noticed the slick way ads are enmeshed in your streams. All your liking, posting, sharing is for one single purpo$e. Top / Featured Image: I wanted a grumpy photo, and searched on that term in compfight for flickr creative commons licensed photos. A cat named “Amy” is the winner. Just for the record, I did not see any dogs in the results.